SilverHorn Golf Club is a classic 7,000 yard course layout that gracefully accommodating a wealth of natural features and challenges: creeks, rocks, trees and narrow fairways that lead to fast, undulating greens. There are also lakes and creeks, both dry and wet, coming into play throughout the golf course. The layout covers 262 scenic acres. 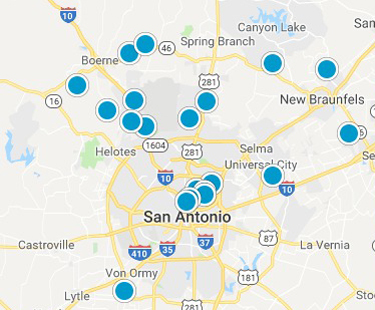 Silverhorn Golf Club of Texas is located near Bitters and Blanco, just a short 15 minute drive from the downtown San Antonio's Riverwalk.